We recently had a 6kw system installed (Enphase micro inverters with LG panels) and couldn’t be happier. Michael did our initial quote, he was friendly, helpful and helped me understand the system they were quoting and why. We then popped into chat to Graham and Jenna in their showroom to show us the system in action the next time my husband was home. With the wealth of knowledge they shared with us it was an easy decision to make. The electricians who installed were professional, friendly and helpful and did a very neat job. We had a little hiccup with our wifi not talking to the system but this was quickly resolved with Excel working around my work schedule until it was resolved. We were happy with past electrician but will use Excel Power for all our electrical needs in the future because of this experience. 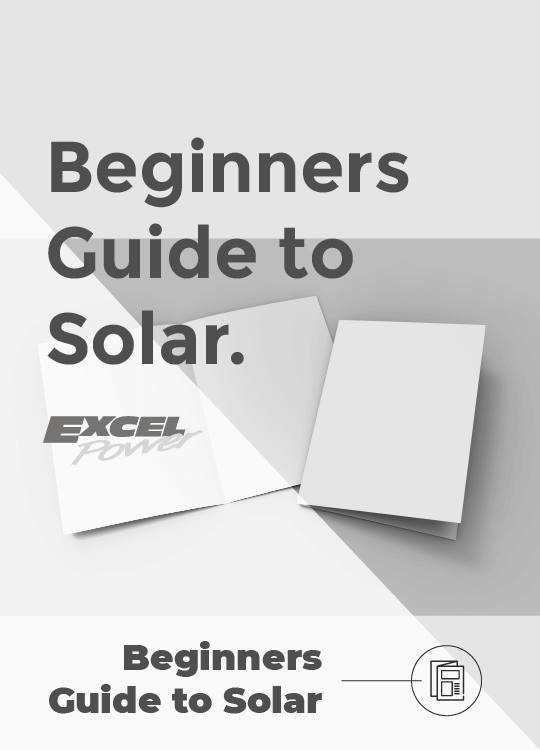 We found Excel Power a pleasure to work with. Michael and his team did an excellent job on our stand-alone solar power system. Their high standard of workmanship, dedication to quality install, attention to detail and open communication has provided us with the system performance and reliability we can depend on. A job well done! I am very happy with my new solar installation. Michael came to my home to look at the possibilities for a solar system on Friday, August 17, 2018, and it was installed the following Friday. The men who installed the system were extremely helpful and their work was completed within 6 hours. I was very impressed with them. All the paperwork was done by Excel and the following Tuesday, Michael returned and went through a thorough explanation, answering any questions I had. Excel did a great job for us. They selected what seems to be a perfect system for our cricket club and we have been getting weekly and monthly updates as to power production and the daily graph of power usage and powered generation from the system. Excel did a great job for us. They selected what seems to be a perfect system for our cricket club and we have been getting weekly and monthly updates as to power production and the daily graph of power usage and powered generation from the system. This system should go a long way towards massively reducing our annual powered bill and in a small club that is a wonderful cost saving. The system is easily managed and viewed and their installation process was simple and their explanations clear as to what to watch and look for and how to refer to the main site to view performance. This was a great decision by Helidon Cricket Club to install this 3.3 kW system. Rural Fire Service across Darling Downs Area has undertaken a commitment to not only reduce our costs for local volunteer Rural Fire Brigade but also to ensure we are being responsible community members and working to reduce our environmental impact. Our volunteers regularly attend large-scale bushfires where natural vegetation and environments can be damaged so it is important that we are doing our bit to help protect the environment on another front. RFS looked around for a reliable safe and highly productive solar system to meet our needs of reducing cost while doing our bit for the environment. The system that Excel power has provided us has achieved this result and we are already seeing excellent benefits from the systems with brigades producing more power than we are using. The use of microinverters with each panel has ensured we will have a long lasting low maintenance system which has the highest safety standards. The back to base monitoring of the system and its performance was a key factor in us choosing Excel and Enphase as our stations can be unattended in quiet periods and it was important for us to know that the system was functioning correctly and safely without placing further burden on our volunteers to attend the station and check the system. The team from Excel Power made the process very simple for us and took care of all the documentation with Ergon Energy and set up the brigades to view their usage and production from the system online, each station also received a custom-made plaque and information folder which was very well received by the brigades. We have been very impressed with the after sales service and induction training Excel Power has provided on the system and we continue to see the benefits that these systems will provide us into the future.